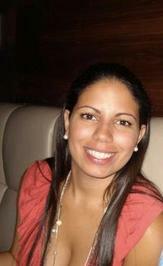 Today we are welcoming author Claire Contreras to the blog for an interview. You can also find her interview in the Never Too Old for YA Books group on Goodreads. So, without further ado, let's hear what Claire has to tell us! Writing is something that I’ve always done as a way to get out of my own head, so I didn’t really have an “aha!” moment. It depends, but TiNLiD took me around 6 months. I’m fast in the sense that I like to get things down on paper as it comes to me, but between beta reading and editing, it takes a little while longer to get the book out there. I love stories that make me think and feel. When I get completely lost in a book, I feel like I’ve found a good story. Thankfully, I have a very flexible day job, so I can get a lot of writing done during the day. When I have “on” days, I’ll drop off my kids in daycare & spend the day writing until it’s time to pick them up. I usually end up writing during the day and at night. I sit in my 3 year old’s room every night and wait for him to go to sleep, so I start there. Sometimes I’ll stay in his room for hours (which drives my husband insane), because I’m on a roll and I can’t stop writing. I think balancing the two is probably the most difficult thing about it. It’s easy to get lost in writing and neglect everything else, so I kind of have to remind myself to separate my characters from my world. My ideas are usually daydreams I have. I usually have at least four “wouldn’t it be crazy if---” moments during the day. Sometimes they don’t leave my mind and I just start writing & develop a story from it. In creating it, I guess how emotionally draining it can be. In publushing, how expensive it can get. 2 full length novels. I’m currently working on my third. 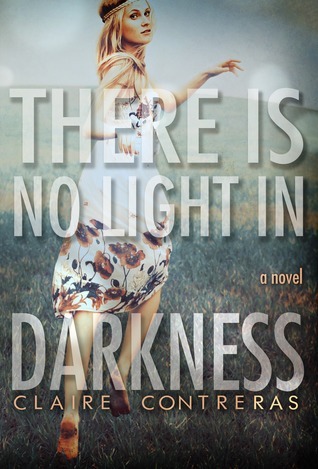 There is No Light in Darkness is definitely my favorite, which is why I decided to publish it. The one I wrote before it was fun, but I didn’t have the connection with it that I have with TiNLiD. Not entirely, but they have characteristics and qualities from people I know. It used to be Starbucks, until I discovered this coffee shop named Pasion del Cielo. It depends on the character’s mood, though. Sometimes I’ll stay home and close all of my blinds and write in my room in the complete dark. They’re pretty excited about them. My mom has told everybody she knows to get TiNLiD, including my uncles. Clearly, she hasn’t read the book (haha). Read or act like a kid with my kids. We use our imaginations a lot on my house, which I think is one of the greatest gift you can give your child (other than good manners). Write! That’s the only way you can improve your writing. Ask for help, get honest beta readers, and write the story you want to tell not the one you think people want to hear. The Bronze Horseman series is my favorite. Anytime I read a story that sticks with me, that author inspires me. I love Paullina Simmons, Colleen Hoover, Katja Millay, Tarryn Fisher, K.A. Linde, S.C .Stephens, Jamie McGuirre, Tammara Webber and Madeline Sheehan. Haha, I wouldn’t know! I think it depends what your definition of a successful book is. I’ve read a lot of books that are amazing and are “successful”. but I don’t see them in the top 100 for weeks in a row. So again, it depends on what you think of as successful. To me, a successful book is one that makes readers think and moves them, and inspires them in some way. In order to do that, you have to be able to step outside of the box and write the story you want to tell. That’s why the authors I mentioned inspire me. Darkness Before Dawn, which is the final book in the TiNLiD series. I’m very excited to tell this part of the story, I just hope the readers are up for the ride! Thanks so much for stopping by to be with us today, Claire. It was really great having you here. Good luck on your next book! The cover is awesome. I couldn't tell, is this a YA or NA story? Maybe I just missed that part. Thanks for introducing me to another book for my TBR pile!